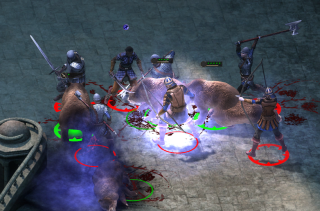 Pillars of Eternity, or Bear Friendship Simulator, belongs to a class of RPG designed to eat up your life. You're not meant to rush through it, but speedrunner Jiseed nonetheless has. Exploiting a number of glitches, he's managed to finish the game in a touch under 40 minutes. That's how long I spent on the character creation screen. While 'spoilers' is stretching it, the run above does 'break the game to shreds', as one vivid Redditor termed it. Our reviewer Andy Kelly called PoE a "deep rich and wonderfully written RPG", so don't go breaking it on your first playthrough.